EN.Gallery is a gallery space in the Cultural Quarter in Stoke–on–Trent’s city centre. 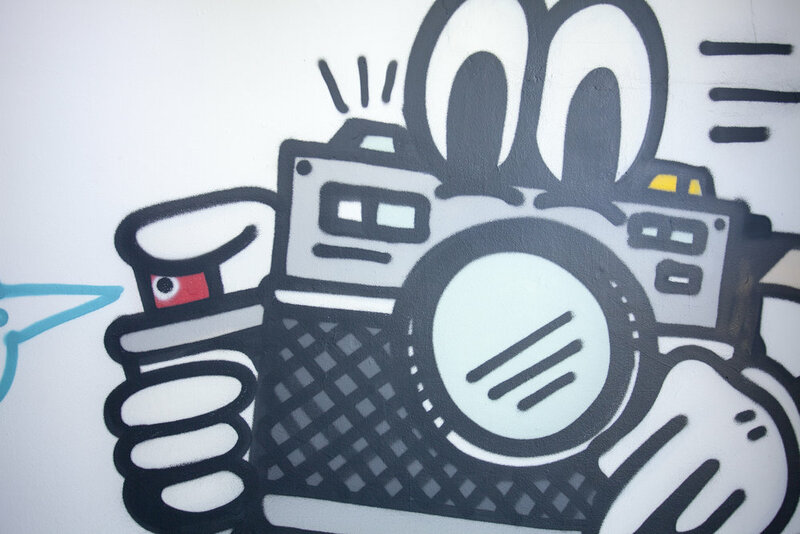 The focus for Upstairs Gallery is to showcase urban art from all over the world— from the graffiti, design, typography and photography sectors, including (and open to) many more. The space is also a place for lectures, talks, screenings and events, and is open for hire. 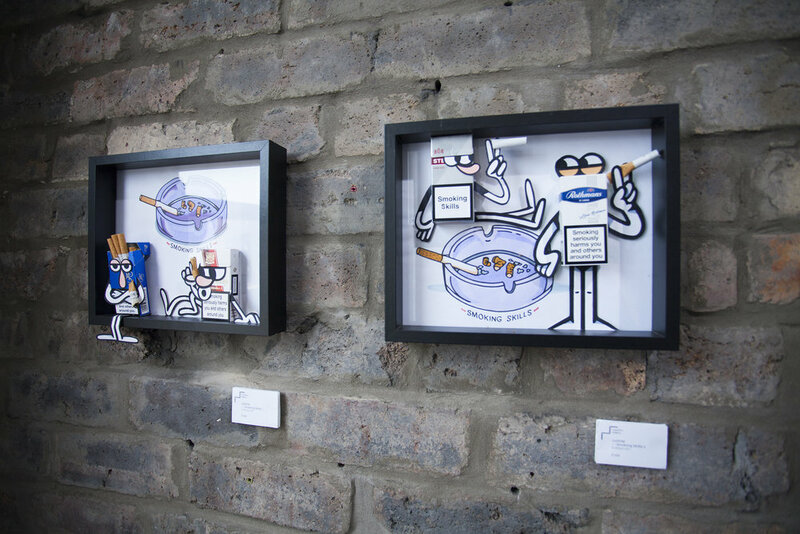 We brought renowned graffiti artist and typographer Faust to the UK for his debut solo show at Upstairs Gallery. After a successful Arts Council England bid, we were able to produce a mural as part of our New Horizons project, and Faust's first ever screen print run in our workshop. Thanks to Arts Council England for their support in making this exhibition happen. 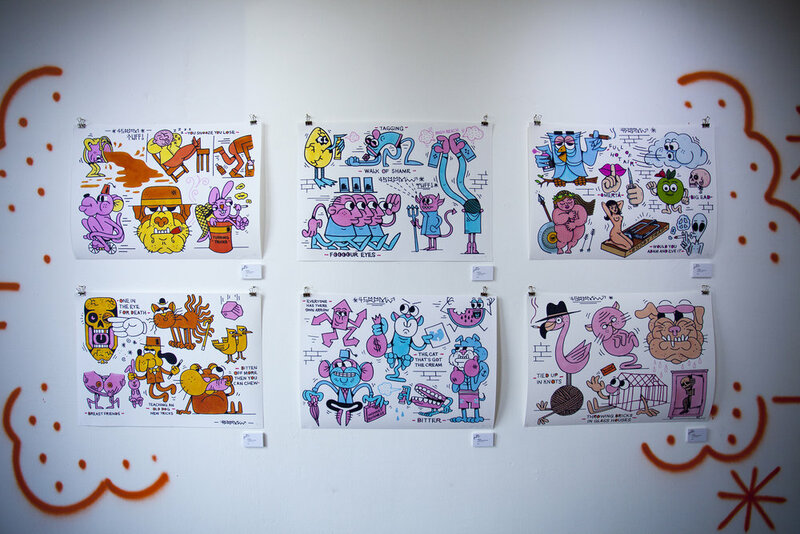 We hosted local low-brow artist Famous When Dead in our gallery space for 2 weeks — one of our favourites to date! 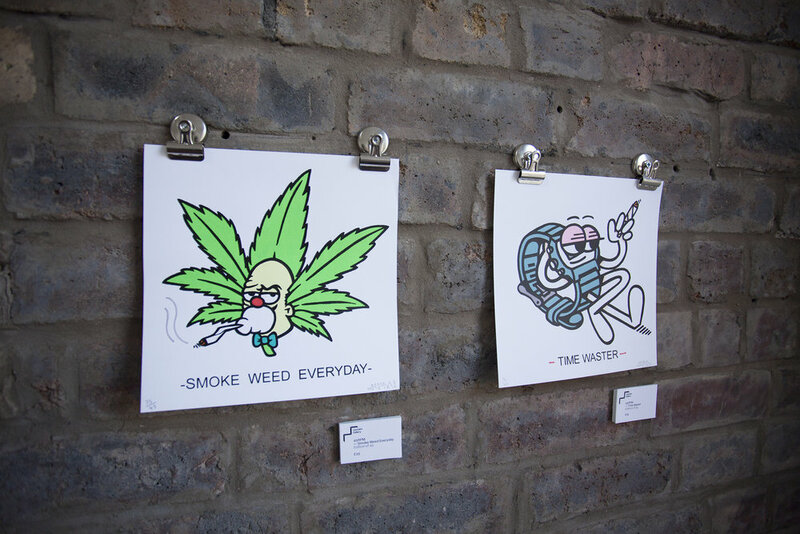 The brains behind skateboarding brand Goblyn Crew brought together a series of incredible artists and illustrators for a skate centric exhibition. London based Darren John had a couple of months in the gallery, where he worked to change the space and the idea of how a gallery should present work. Toby paints abstracts, a very old fashioned notion but one that he clings to out of nothing more than a pure enjoyment of painting and paintings. Another successful Arts Council England bid saw us bring Bristol based graffiti artist 45RPM for a new year exhibition in our Gallery — we also worked with him on two new screen prints for the show and a new piece of ceramics with local ceramiscist Jasmine Simpson. Every year, we curate a series of local shows. Working with local artists, designers and curators, our aim is to show off the best that Stoke-on-Trent has to offer through a series of quick fire exhibitions. You can help the gallery flourish by becoming an associate. For that, you get discounts on space bookings, invites to private views before they go out to the public and the warm fuzzy feeling of helping a local, independent arts-based initiative. Our gallery space can be hired by the day, evening or on a weekly basis. These costs also include access prior to the hire period for any setup/installation time that may be required. Week, evening and day hire includes the use of gallery toilets and kitchen facilities plus power and wi-fi use for the duration of hire. Re-instating fee: If you plan on drilling/nailing into the walls or painting directly onto the walls of the gallery there is an additional reinstating fee of £70 (all fixings must be agreed prior to installation).